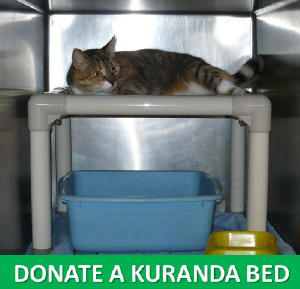 Kuranda beds are comfortable, safe and easily cleaned for our foster furbabies. 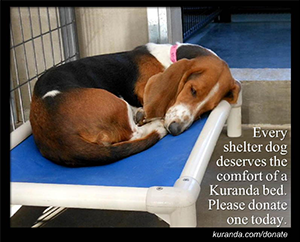 You can click one of the precious pets below to view our wish list. Monetary donations are always a great help. They help to purchase medications, food, everyday supplies, spay/neuter, or go towards the next major surgery an animal may need. Ciana Stenger is our Super Star. For a school project she decided to collect donations for TTAR. We are so proud and grateful for all that was donated! It is because of kind hearts like hers that allows us to do what we do for tattered tails. Thank you Ciana! A Special Star to Tattered Tails Animal Rescue, Inc.
Caring for animals have a large range of needed supplies; cleaning supplies, food, beds, enrichment toys and so much more. Amazon allows us to pick some the variety of items we need and use regularly with rescues. You can click Phoebe below to be taken to our Amazon wish list. Please be sure to include contact information in order for us to provide you with a donation receipt. Tattered Tails can be put in your will or named beneficiary of a life insurance policy or retirement fund. We also appreciate the heart warming donations made in memory of a loved one, whether human or animal, that touched your heart.